THURSDAY, Dec. 6, 2018 (HealthDay News) -- Even with the same treatment, black women with the most common form of breast cancer experience higher recurrence and death rates than white women, a new trial reveals. 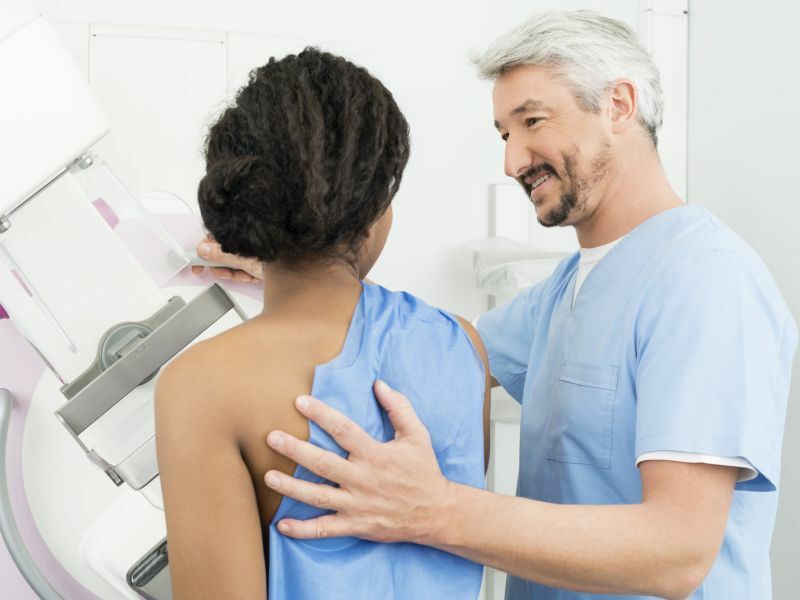 The finding pokes holes in the prevailing notion that black women with breast cancer fare worse due to less access to quality medical care, experts said. While that factor may contribute to poorer outcomes, other factors -- such as the way drugs are metabolized based on race -- may be at play. "Going way back, there's always been the concern about blacks in terms of cancer outcomes over time, but a lot of that was based on population [studies] where treatment wasn't controlled," said study author Dr. Kathy Albain. She's chair of oncology research at Loyola University Chicago Stritch School of Medicine. But "leveling the playing field by bringing women to the same doctors and getting the same treatment" didn't equalize breast cancer outcomes between black and white women, Albain added. More than 250,000 women in the United States were diagnosed with invasive breast cancer in 2017, according to the American Cancer Society. The disease claims the lives of about 40,000 people each year. Albain and her colleagues evaluated the link between clinical outcomes and race in more than 10,000 women with early stage hormone receptor-positive, HER2-negative breast cancer, the most common type of the disease. Findings from the same multinational research, known as the TAILORx trial, were released in June showing that most women with early breast cancer don't benefit from chemotherapy. Treating them with chemotherapy and hormone therapy after surgery doesn't improve outcomes more than hormone therapy alone. In this latest analysis, patients' tumors were analyzed using a molecular test that looks at the expression of 21 genes associated with breast cancer recurrence. About 84 percent of the patients were white, 7 percent were black, 4 percent Asian and 4 percent were of other or unknown race. Ethnically, 79 percent were non-Hispanic, 9 percent were Hispanic and 12 percent were of unknown ethnicity. The types, use and length of treatments were similar between both black and white patients and between Hispanic and non-Hispanic patients. But outcomes were significantly different: Black women experienced a 39 percent higher risk of breast cancer recurrence compared to white women and a 52 percent higher risk of dying. These marked outcome disparities were not explained by reported adherence to therapy, or by factors such as age or tumor size or aggression level, Albain said. But she said it's possible that differences in the way racial groups metabolize drugs could play a role. "We inherit genes from our parents and the genes that metabolize drugs … differ," Albain said. "It's not any sort of racial bias, it's just a fact." Also, because hormone therapy pill adherence was self-reported, she noted, the study authors don't know if black and white patients actually took the pills according to directions, or in the same way. "Patients will tell me all the time they're taking their pills, and they're not taking their pills," Albain said. "Pill-counting wasn't done in this trial" to confirm what patients reported. Dr. Ann Partridge is a breast medical oncologist at Dana-Farber Cancer Institute in Boston and wasn't involved in the new research. But she said she wasn't surprised by the findings and agreed that black and white patients in the study may have adhered to hormonal pill therapy differently. "We know that young people and African-Americans are less adherent with hormonal therapy -- that's been shown over and over again," she said. Partridge also noted that exercise behaviors have been shown to differ by race, and that white women tend to exercise more than black women, which could "have a profound impact" on cancer outcomes. "This is also true for obesity and diet … which also tends to be different by race," added Partridge, who's also a professor of medicine at Harvard Medical School. Albain and Partridge agreed that more research is needed to pinpoint all the reasons breast cancer outcomes differ according to race. "We have to chip away at it all, increase our understanding of disease differences and not lump [factors together] as much as we do," Partridge said. The research is to be presented Thursday at the San Antonio Breast Cancer Symposium in Texas. Research presented at scientific conferences typically hasn't been peer-reviewed or published, and results are considered preliminary. The U.S. National Cancer Institute offers more information on breast cancer treatment.